Just going to get this out there. 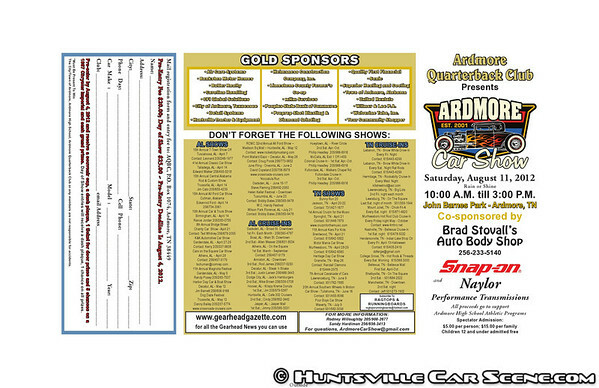 We again will having the 12th Annual Ardmore Car Show on August 11th 2012 at the John Barnes Park in Ardmore, Tennessee. 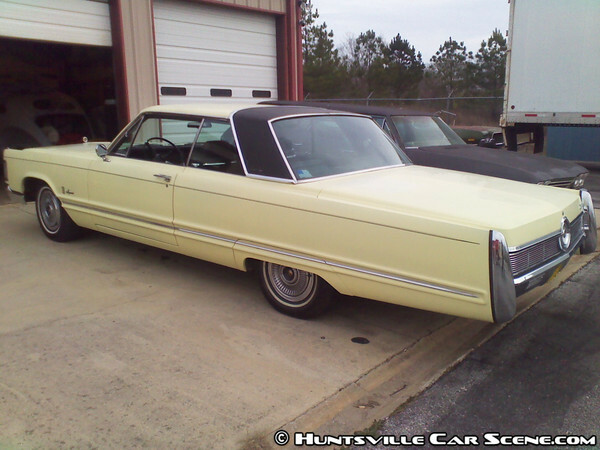 Will giving away a 1967 Chrysler Imperial Crown Coupe and over 10K in cash. (must be present to win all prizes) Also these prizes are for registered participants only. We do not sell extra tickets to the public for them to win your stuff. 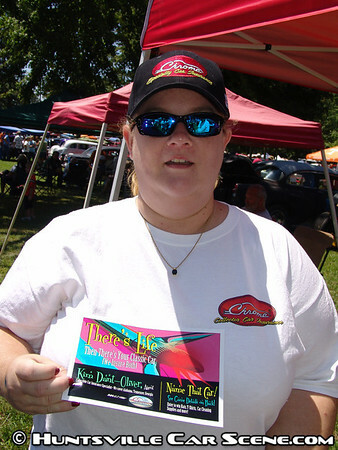 Spectator can participate in the 50/50 drawing which was over 2800 bucks in 2011. I will update more giveaway prizes as the sponsors again come back on board. We will have the KidsZone, Hot Wheel drag racing, and plenty of swap meet / food vendors day of show. 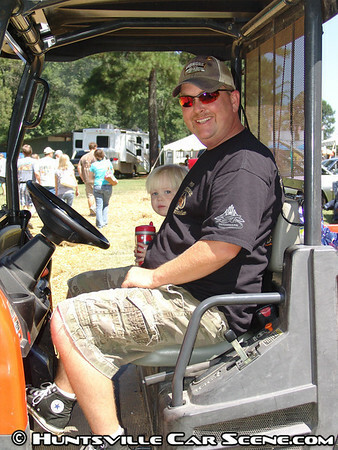 Entry fees are still the same $20 to pre-enter and $25 day of show. Pre-registration before August 4, 2012 include a dash plaque, a event hat, one door prize ticket, and 5 tickets to win the car, big cash, and big prizes. Also, you will not have wait in a long line when you get to the show. Registration after August 4, 2012 includes a dash plaque and one ticket to win the car, big cash, and big prizes. Online pre-registration coming soon. Spectator admission is $5 per person, $15 per family. Children 12 and under are admitted free. 2011 was again a great year. I did not get one cussing this year after the show. We had plenty of input on how to improve and appreciate anymore that anyone has. 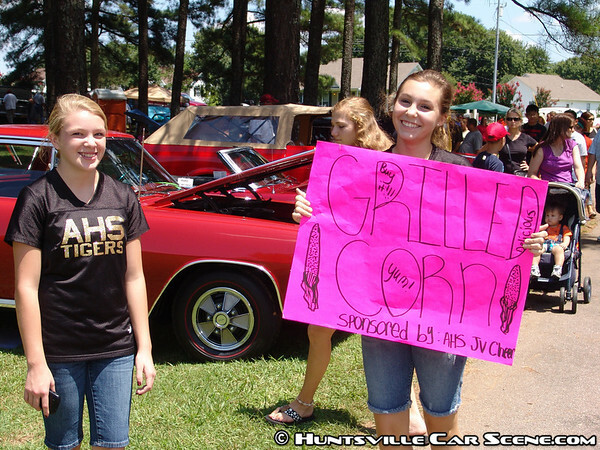 We, the community of Ardmore, really appreciate the turnout and the opportunity to have a car show. We had 1053 registered vehicles in 2011 with plenty of parking left over. 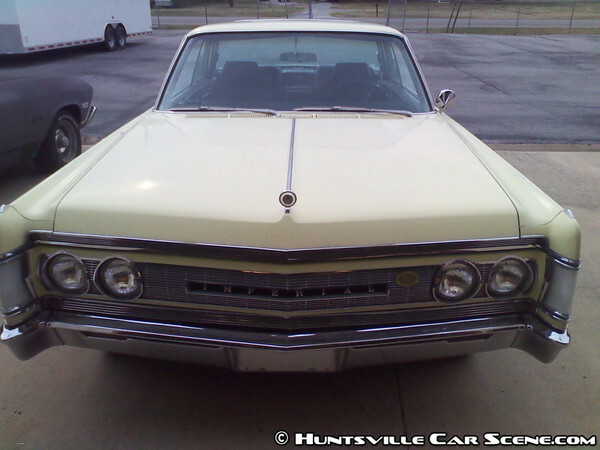 If you have never attended, you are missing some of the nicest show vehicles in the TN Valley. I will keep everyone updated as we continue to progress and get the flyer done. I do have a update on the giveaway car. 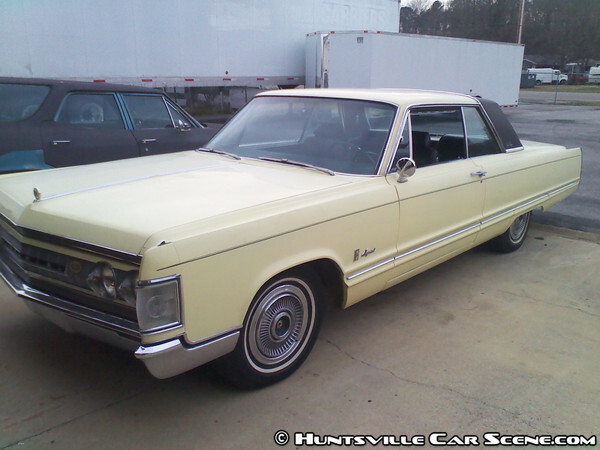 Its a 1967 Chrysler Imperial Crown Coupe. 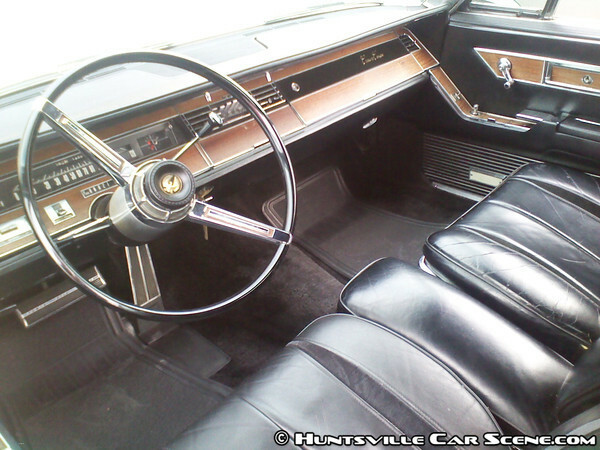 114K original miles, leather, 440/727 combo, and get this 1 of 16 in 1967 that came with front and rear air, pretty rare. Jay Leno has one but his has power vent windows as this one doesn't. I will have to get some pics to Samir to post. Upload your media here to have it appear below. The weather was perfect for a car show in the dead of summer, and the record low temps brought out the largest turnout in the show's history. Over 1400 cars officially registered. All the available parking for the event was used up for the first time in the show's history. Another 100 or so probably could have fit, but they're still reaching capacity for sure. It's a good problem to have. Anthony (gorkoracing) was waiting for me at the McDonald's just down the road from the park entrance. We took out the top on the Exige and put it in the minivan I had with me. We were about an hour behind schedule from where I originally wanted to be, and I was tempted to cover the benefit ride being held right down the street since I saw so many bikes out and about, but something told me to focus on the task at hand. This was the first time Anthony would be helping me cover an event, and it's the hardest event to cover of the whole year. As we pulled in, I was shocked as both baseball fields were almost completely full. I bumped into Sandy shortly after who told me that they were out of space as the cars continued to roll in behind us. I knew Anthony and I had our work cut out for us. We started at vendor row, and I was surprised to see it bigger than ever. 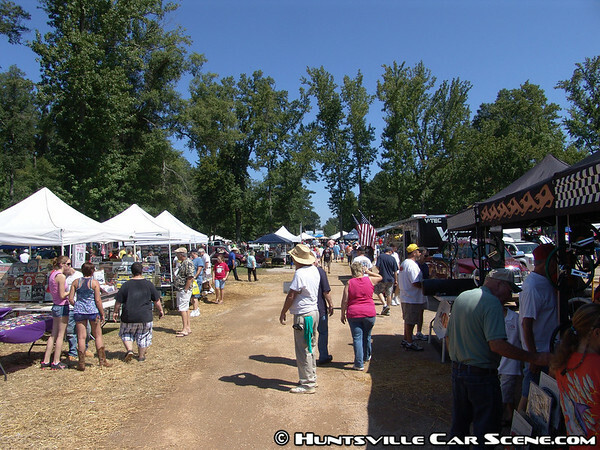 Several Huntsville Car Scene sponsors were present. 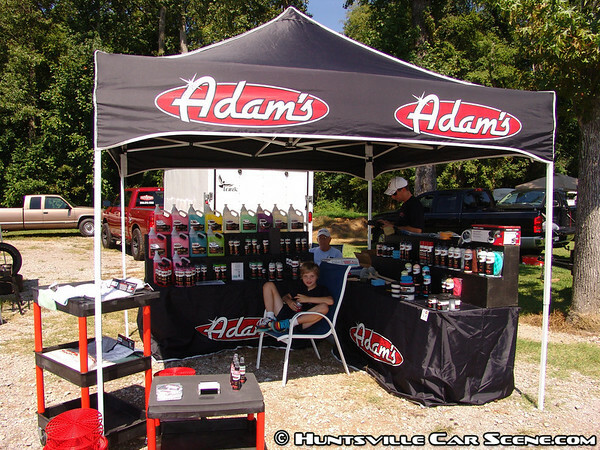 Len from In Depth Auto Detailing had a really nice booth with a full inventory of quality Adam's Polishes. Kim and Cassie were passing out information about their Chrome insurance offerings for enthusiasts like us. 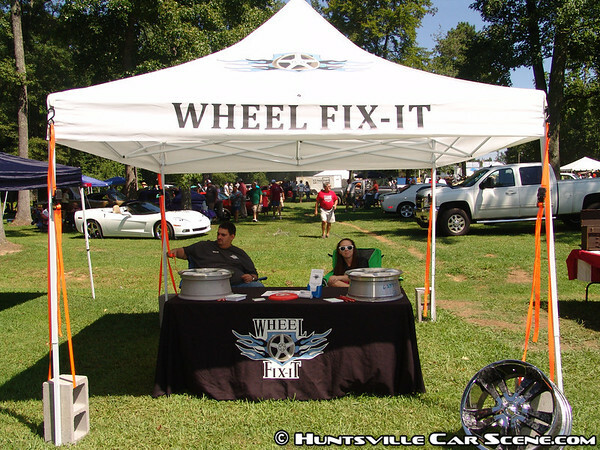 And Britney from Wheel Fix-It was taking it easy under a nice white tent. Just kidding! This is probably the only time they actually can rest. They're always busy making right what curbs made wrong. After we finished with vendor row, we started in the back area of the park. And while we were here, we bumped into both Rodney and Sandy making their rounds and keeping everything running in tip-top shape. Anthony was grabbing a shot of the giveaway car, so I grabbed a shot of him at work. Without his help, attempting to take a picture of every car here would have been much, much more difficult. Thank you so much Anthony! 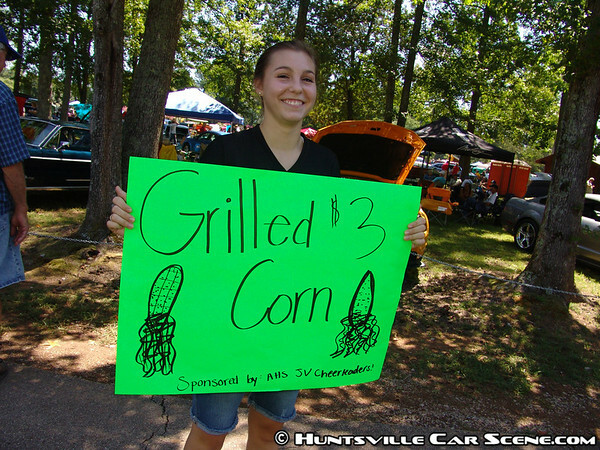 As we made our rounds taking pictures of every car at the show, we kept bumping into some florescent sign boards for 'grilled corn'. 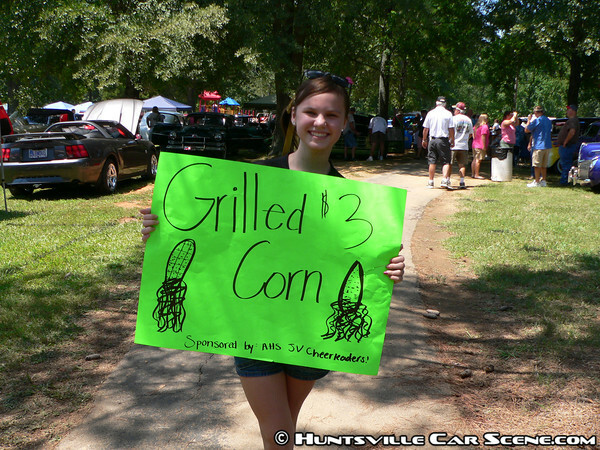 We dubbed them 'The Grilled Corn Girls' and took pictures of them every time we ran into them. 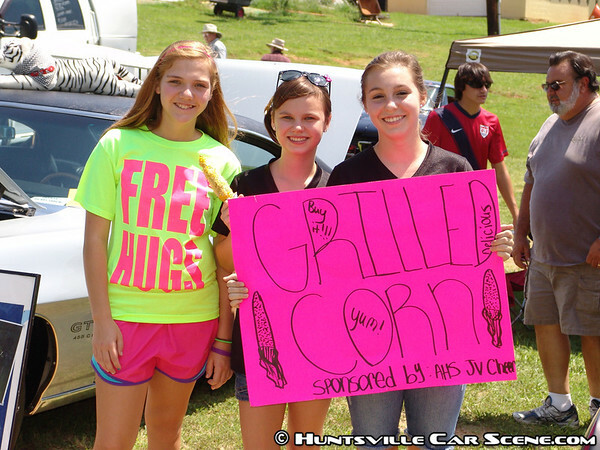 But everyone loved the corn, and the girls did a really good job of getting the word out there. Because of the timing of the large benefit ride just down the street, lots and lots of motorcyclists stopped by and checked out the show. So many that it was more than what's found at most bike events! Anthony ended up shooting what felt like so much more than me since I was having conversations every 15 minutes. And it's always good to see everyone, especially some people that I haven't seen in ages like WAFF48 weatherman Brad Travis and family. Did you know he was car enthusiast? Yep! He's a Mustang man. 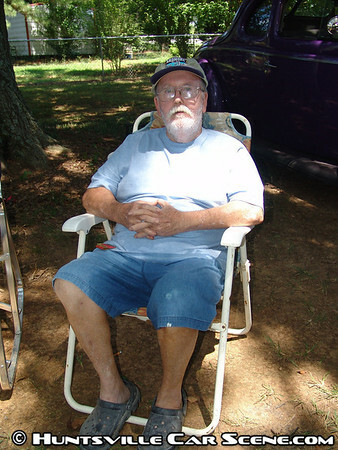 Even Horace was here from last year's show just sitting back and enjoying the atmosphere. There were so many people here, and so many great friends that gave me and Anthony water as we made our way all over the park. Thank you to everyone that gave us a bottle--without you we couldn't have done it. It may not have been 110 degrees, but we were still sweating buckets. And just as we finished with all the cars, it was time for awards. Anthony got some food and well-needed rest and I continued until the very end of the show. After giving away a car, a transmission, a Snap-On tool box, cash prizes, and a 50/50 worth $3000, the show was over. And it was over with us having shot 1800 pictures and video clips when all was said and done--the most event coverage ever produced for this event. I want to thank Anthony, Rodney, Sandy, and everyone that helped make this event coverage possible. Thank you for the post Rodney! 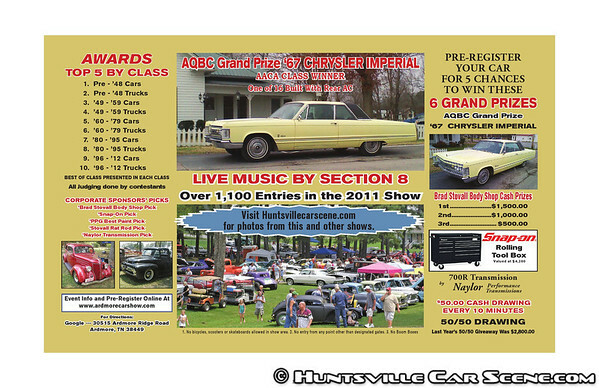 And the same deal applies from last year--put the www.huntsvillecarscene.com url on the flyer and I'll run a banner ad for the show on here all the way up to the day of the show. If you want to post updates in this thread, I'll add them to the event listing. And as always, call/text me if you need anything, 615-512-5520. Thanks Samir as always brother. Cheese puff since you were the first to click that you were attending please pm or email me and I have a special gift for you for the show. all i want is a hat!!!!!!!!!! Listing updated with the info. 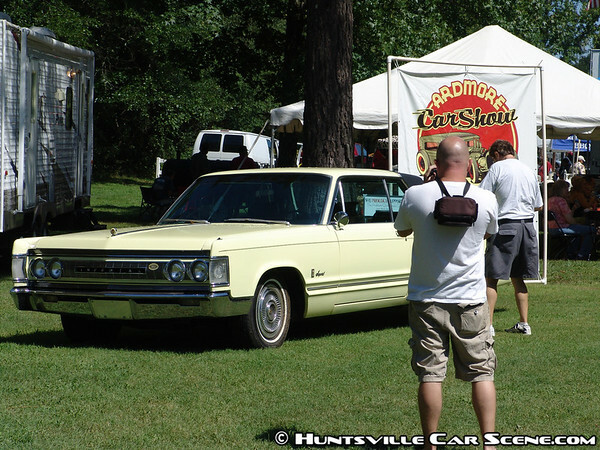 Feel free to just email me the pics--samir at huntsvillecarscene.com and I'll add them. I knew I should have clicked attending, lol. Pictures added! Sorry I fell behind on this. It was right when I was getting sick. okay ya'll, I have a pre-registration update for the show. Pre-registration will be 20 bucks, this is what you get. A dash plaque, a event hat, your one door prize ticket, and 5 tickets to win the car, big cash, and big prizes. also you will not have wait in a long line when you ger to the show. Also be on the lookout we will offering a new Ardmore Car Show website and online registration in the next coming months. Flyers should be done within a month and mailed out shortly. If anyone has any questions you can call me at 205.908.2677. Thanks. Last edited by LastChance; February 22nd at 10:15 PM. I like that door prize! add a green grille and some rocket launchers. It doesn't have a phonograph player in it by any chance? THE best one I went to last year! Thanks for your comments Rat, it does not have the record player but it is a cool cruiser. I will have it a bunch of local shows as they get fired up so everyone and check it out up close. I can't wait for this show. Last year was huge and one of the best local shows I have been to! I really enjoy the swap meet and all the vendors. They make that show not boring at all. Wish more shows where like this! Update!!!Update!!!! Snap-On (located in Elkmont, Alabama) showed me the tool box that they are offering to give away this year @ the car show and its a bad boy. If you boughts this bad boy on your own it would cost over 8K. I just want to thank Snap-On for their help with the show over the last few years. These are local folks that love our communities and build great tools. By the way, They build screw drivers, dead blow hammers, sockets, breaker bars and some rachets there. Its a top class facility with top class people that believe in American made and its done here in North Alabama. I will have some pics of the box very soon. On another note member Cheezit has won a free pre-entry to the show for being the first one to click that they are attending the show after the post was started. Cheezit please call me @ 205.908.2677 when you can so I can get you squared away. Thanks for the attention. I will be doing some more free pre-entries for HCS members in the near future so please watch this thread and wait for the give outs. Show was huge last year but it was blazing hot. Maybe he will draw again and get my name this time. 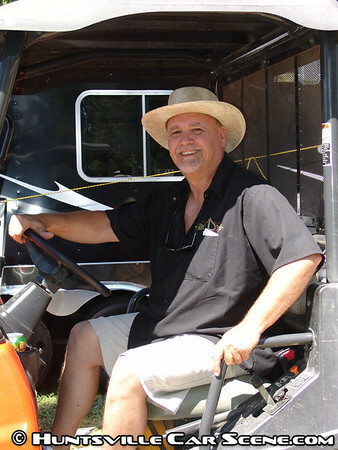 I might have to have my wife drive the pickup or find a way to haul a trailer so I can bring my generator, shop fan, lounge chair, Tent, cooler, and other assorted items to fight the heatwave. It did rain for 3 minutes last year, but I think the rain dried up before it hit the ground. I spent 3 hours looking at the cars and only saw a portion of them. Is there a list of what you can and can't bring to the show? 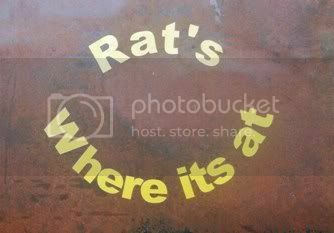 From what I've seen, its open to everything.